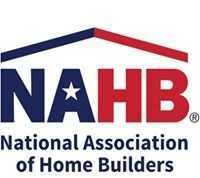 WASHINGTON, D.C. (June 20, 2017) –- (RealEstateRama) — The Department of Housing and Community Development (DHCD) has extended the deadline for submitting comments on Draft Guidelines(link is external) for calculating the 40B general land area minimum until July 14, 2017. DHCD has issued these guidelines to increase fairness, improve the efficiency of the application review process, and to ensure consistency with the intent of the regulations for the purposes of calculating whether SHI Eligible Housing is on sites comprising more than 1.5% of the total land area zoned for residential, commercial, or industrial use, pursuant to M.G.L. ch. 40B, § 20. Appendix A: Technical Instructions – How to perform the General Land Area Minimum calculation using Geographic Information Systems (GIS) software, along with information on the data, documentation, and file formats that must be included in the submittal. Appendix B: Example Calculation – A step-by-step example of the calculation and submittal requirements based on a fictional municipality. For a copy of the Draft Guidelines and the appendices, please click here(link is external). DHCD will accept written comments on the Draft Guidelines and appendices through July 14, 2017, extending the original comment period which was set to end on July 5th. Comments can be directed to ">Marguax Leclair. 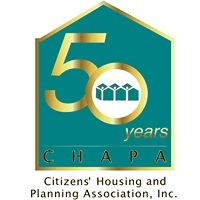 Citizens’ Housing and Planning Association’s mission is to encourage the production and preservation of housing that is affordable to low and moderate income families and individuals and to foster diverse and sustainable communities through planning and community development.